How do I water my Potted house plants - Alex invites you into his world. I get asked why did my plant die? This especially for plant lovers. The problem people have in watering plants in containers! How do you know when to give them water? How much water do I give my pot plant? I do get asked all sorts of questions on the keeping of potted plants but none more than the watering of plants in their containers. It seems a silly question; not so! More plants die through too much water, too little water or being watered wrongly. How to get the message over to the plant keeper is quite simple; however, few people take the time to understand the plants needs when first purchasing the poor wee unsuspecting plant. I'd say 99 % of all plants die a premature death due to wrong watering practice. There are many ways for a plant to die but watering the wrong way is the principal killer. OK; where do I start? Forget what you have ever been told about watering plant pots. Good you're half way there! 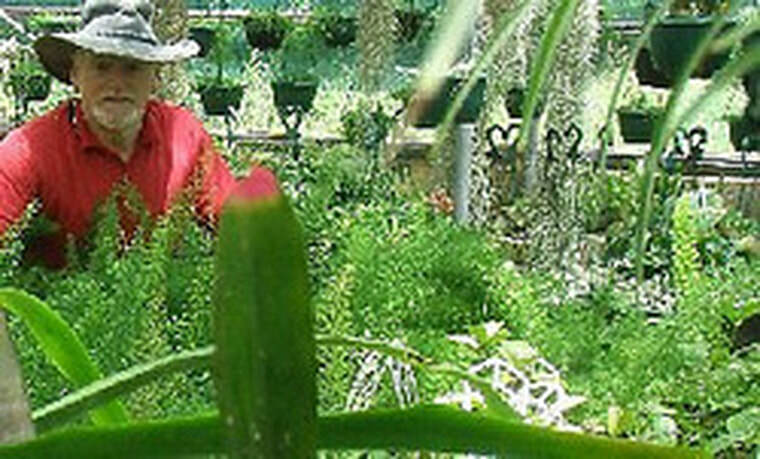 Providing you have bought your plant from a reputable plant dealer it will have the required quality potting mixture. The mixture for potted plants is open and very friable and created for potted plants and not for any other purpose. It will have the proper water retaining properties and should not collapse when watered properly. If you use the wrong potting soil it will die eventually whether you water properly or not. We have a plant, we have a plant that has the right potting mixture, we have a plant that requires water!! The potting mix is usually half an inch below the top of the plant pot allowing us some space to water without the soil being washed away. You water the said pot by watering from the top only. You do not water by standing the pot in water. You water the pot using enough volume to allow the water to flow freely from the bottom of the container. If the plant does not rid itself of toxic waste salts it will become dehydrated. Yes even if the soil is wet. (By wrongly watering i.e. standing in water. )Like all life the plant needs to use the toilet and that toilet is called "Flushing". One other point, if the plant uses the wrong mixture and is standing in water, the soil will collapse and this excludes the holding of oxygen, it will DIE. The correct potting mixture watered properly will not collapse and contain its maximum required oxygen content. If the mixture does collapse waste cannot be disposed off and free aerobic oxygen is excluded encouraging a different type of bacterial action causing the bacteria to be anaerobic, this in itself is deadly toxic to plants. Water your blidy plants outside rather than pouring tiny wee drops of water in the house where you cannot get flushing. I know this is a imposition and a little more work but you will have plants that all others will admire. One last point, if you only use small amounts of water, the soil in the pot will shrink around the edges and pour out the bottom giving the impression that the plant has been watered. It will not have been watered and the soil in the centre will dry out, the soil then will become hydrophobic, after which the poor wee plant is unable to take on any water at all, and it will DIE. Good plant keeping for 2013.